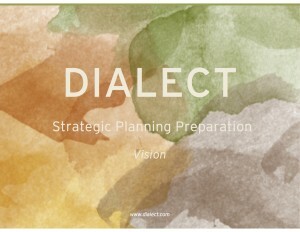 Are You Ready For Strategic Planning: Part 3 – What is your Vision? We’ve been interviewing C-suite leaders for a white paper on strategy execution. Some of those leaders have a very simple definition of strategy — it’s the “How?” of reaching your destination. As Cheshire Cat points out, you have to know where you’re going in order to chart a path to get there. As you enter your strategic planning cycle, make sure you and your team are clear on the future you want to create together. Download 4 questions to address as your create or confirm your future state; answering these questions well leads to better alignment of where you and your team want to go. If you’re interested in how we can help you prepare better for this year’s strategic planning, click here for a description of our workshop, Are You Ready? Getting Aligned Before Your Strategic Planning.